La Pietra is a full custom fabrication facility located in Fairfield County, Connecticut. 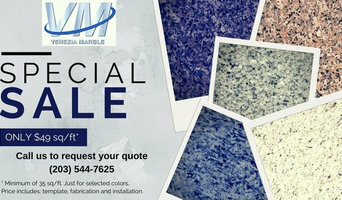 We are specialized in custom fabrication of commercial and residential counter tops. We are not limited to only counter tops, at our facility 10,000 square foot facility we have the highest technology in the natural stone industry. Check out one of our soapstone hand carved sinks. La Pietra Custom Marble and Granite is a family owned and operated business. Above all things, the La Pietra team strives to deliver to you, our customer, the best quality of natural stone materials and excellent customer service. You can count on the outstanding results one would expect from "one of the highest rated natural stone and countertop companies in Connecticut" by the better business bureau. La Pietra Custom Marble and Granite is proud of the quality, craftsmanship and 100% focus to each project. The outcomes are truly second to none, and the next beautiful kitchen or bathroom could be yours. As a natural stone supplier and manufacturer, La Pietra is geared toward delivering the elegance of natural stone, attentive personalized care, along with competitive prices and prompt delivery to all New England residential customers. La Pietra's mission is to ensure that granite, marble and all unique exotic and beautiful stones are available and attainable to all who desire them. La Pietra aspires to combine the beauty and durability of natural stone with unequaled personalized attention to you and your project. La Pietra Custom Marble and Granite pledges to you to faithfully implement innovative techniques and attention to detail in order to assure that any project remains affordable to all those who admire natural perfection and to deliver your projects in less than ten days in the best possible quality and service excellence. *Authorized Dura Supreme Cabinetry Dealer* AMERICAN TILE & STONE, is a family run business which has proudly served the community for over thirty years. With the recent addition of HEART OF THE HOME KITCHEN & BATH DESIGN CENTER, managed by designer Peter Gold, we now offer one-stop shopping for architects, contractors, builders and homeowners. We also provide cabinetry and design service for home offices, built-ins, hutches and media/entertainment centers. At AMERICAN TILE & STONE/HEART OF THE HOME KITCHEN & BATH DESIGN CENTER, we understand that the combination of experienced craftsman, specialized equipment, and impeccable business credentials are absolutely essential to the success of every kitchen and bath remodeling project. As always, we are committed to providing quality products and designs specifically tailored to our clients’ individual needs, as well as superior customer service, all at affordable prices. Our staffs of design professionals are always on hand to simplify the design process and answer all of your questions. We use high-tech, computerized design for simple to understand layouts and floor plans so you can visualize, in 3-D, what your final design will look like. Not only will you receive attractive and useful designs, we pride ourselves on great customer service - which is why much of our business is based on client referrals! IceStone began in 2003 with a simple concept; transform waste glass into something beautiful. The co-founders set out to create a business that integrated sustainable, responsible practices from process to product, and to provide a high design solution that would address a real problem. With capital investment from angel investors such as Ben Cohen from Ben & Jerry’s, activist and author Dal LaMagna the founder of Tweezerman, Greg Steltenpohl from Odwalla, and Gary Hirshberg from Stonyfield Farm, IceStone recycled glass surfaces were brought to market. IceStone has diverted over 13 million pounds of glass from landfills, and has given employees partial ownership of the company, all while manufacturing our product in the historic Brooklyn Navy Yard. Today, IceStone’s signature recycled glass and cement products remain an icon of the new countertop industry, delivering unparalleled style that brings design projects to life. IceStone® is the world’s most sustainable durable surface. Made from three core ingredients —100% recycled glass, portland cement, and non-toxic pigments— IceStone® surfaces are the perfect choice for kitchen countertops and bathroom vanities. IceStone surfaces are fabricated similarly to natural and engineered stones, and can be found in kitchen and bath showrooms throughout the country. Contact customerservice@icestoneusa.com to locate a retailer in your area. Experienced, knowledgeable and established staff ensure unrivalled customer service. Assistance through the process of sourcing material, manufacturing, fabrication and installation ensures a complete turnkey solution for trade and private clients. No matter the project, big or small, Litchfield Hills Marble & Granite brings unique inspiration and creativity for an experience and results you will love. We value our customers by providing them the highest quality products, good and honest workmanship, warranty, excellent client management, and reliable delivery. Litchfield Hills Marble and Granite provides a 20 year limited product warranty and is committed to 100% customer satisfaction. Look for our service in the Ridgefield, Wilton, Redding, Danbury and more in the tri-state. We are with you every step of the way until you're satisfied. New England Tile & Marble Inc. Since 1995 New England Tile has been providing all of Fairfield County with the best selection of ceramic tile, porcelain tile, glass tile, as well as tile materials and tools. New England Tile has a huge collection of carefully selected tile, to ensure the best variety and designs for their customers. All customers are encouraged to speak with the helpful staff who are experts in design and are always happy to consult and lend their expertise. With a small explanation of the size of the room, lighting of the room, intended use of the room, and desired color scheme or design of the room they will let you know which materials, manufacturers, and designs will work best for you! New England Tile & Marble offers expert advice from design consultant team. They can help you with your search for everything from eclectic glass tile mosaics to classic ceramic tile for that kitchen makeover or bathroom renovation. They also offer a full assortment of tiling supplies and top tile care products. If it involves tile, stone or another countertop material, odds are this pro can tackle the job. With comprehensive knowledge of which surfaces will work best in various locations within the home, Connecticut tile, stone and countertop contractors can help you select the ideal material for the intended application. Some focus on kitchens and bathrooms, while others handle outdoor projects, such as walkways. In addition to basic surfaces, many Ridgefield, CT tile, stone and countertop contractors can create and install murals and mosaics, as well as add decorative edge treatments to countertops. They also repair or replace surfaces in the event of chips, cracks, stains or other damage. Many tile, stone and countertop professionals also install shower pans, radiant-heat flooring systems and other common components of surfacing jobs, often working in tandem with Ridgefield, CT plumbers or other professionals. Here are some related professionals and vendors to complement the work of tile, stone & countertops: Interior Designers & Decorators, Architects & Building Designers, General Contractors, Kitchen & Bath Designers, Design-Build Firms. Find a tile, stone and countertop contractor on Houzz. 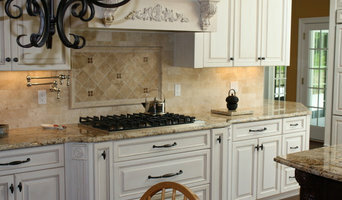 Narrow your search in the Professionals section of the website to Ridgefield, CT tile, stone and countertops. 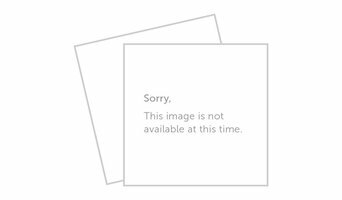 You can also look through Ridgefield, CT photos to find tile, stone and countertop projects you like, then contact the contractor who worked on it.